Mario Balotelli might make a return to Liverpool for next season – Better Than You! Italian striker might be considering a return to Liverpool next season. 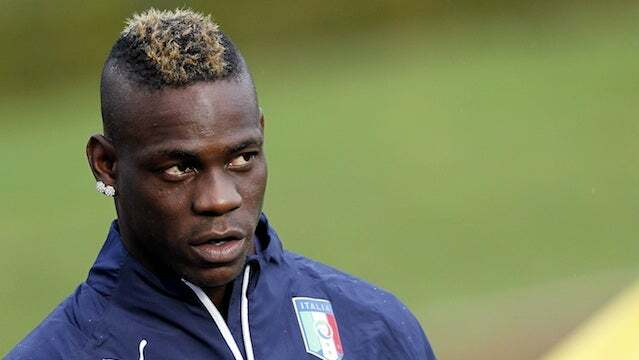 There was news that Besiktas might be interested in the player, but Balotelli’s agent has denied these rumors. He said that this was only lies and that there is nothing real in this. He stated that the Turkish club has not contacted his client and that there currently no other offers. The agent stated that the only option at the moment is Liverpool and that his client is ready to come back to fight for his place at Liverpool. This might be sad news for Liverpool fans who were hoping that the Italian striker might be leaving the club in the summer. Indeed Balotelli has failed to make a positive impact on the team and will be better off if he found another club. However, it might also be possible that Jurgen Klopp can find a way to manage the Italian striker. When he wants to play and when he is in form, Mario Balotelli can be a more than a decent player. The Italian striker has also released a video to show that he has already started training so that he can be in shape when he returns for Liverpool. He posted a video where he is seen sprinting and dribbling around some cones. He wants to make sure that he is ready when he will report back to training. Mario Balotelli joined Liverpool in 2014 for a fee that is reported to be around £16 million. He was signed to replace Luis Suarez, who left for Barcelona, but he will fail to make an impact at the club. So far he has managed to make 28 appearances for the club and only scored 4 goals for them.